Get this now before the new year starts. It would make a perfect Christmas gift. 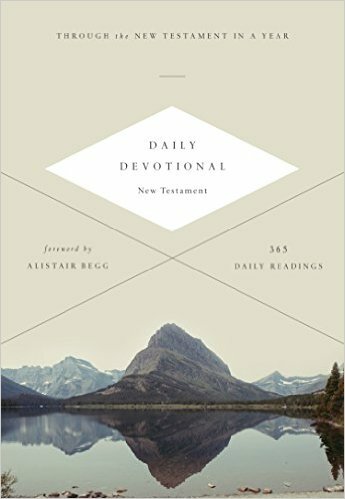 I highly recommend the ESV Daily Devotional New Testament: Through the New Testament in a Year. As the title suggests, it takes you through the New Testament in a year. It is just under a page in the morning (Matthew – Acts) and a page at night (Romans – Revelation). Anyone could do this. It is perfect for churches or small groups to go through together. They now have it in the Kindle format. Do not be one of those Christians who has never even read all of the New Testament! Getting in the habit of morning and evening Bible reading is one of the best things you can do for yourself. Everyone has time for this. Everyone.